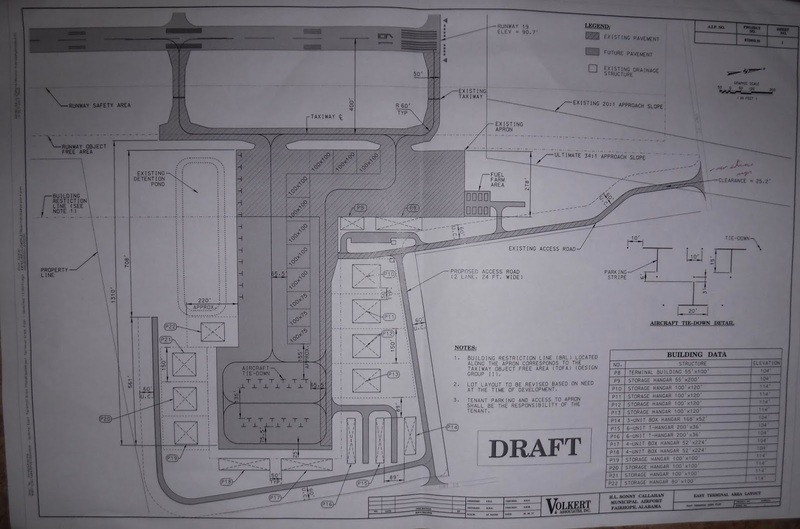 The city's Airport Authority reviewed final engineering drawings of the east side project including areas for new hangar space, a fuel farm, general aviation terminal, and an additional FBO (fixed base airport operator) hangar. Two entities have already expressed interest in building private hangars there (leasing the property from the AA). 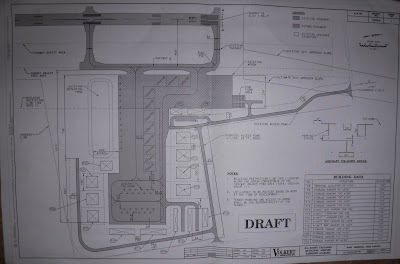 After looking at the drawing, the committee decided to move the fuel farm from the front to the east side and the FBO hangar to the front (facing Hwy 32); eventually the new road there will be the main entrance to the airport. There will also be a new access from CR 13. Most of the infrastructure will be funded by Federal Aviation Administration grants, but money will have to be raised locally for the new terminal and FBO hangar, according to chairman McEnerney. The $800K - $1 million needed could come from local governments and private corporate sources, as well as the Authority itself, he said. 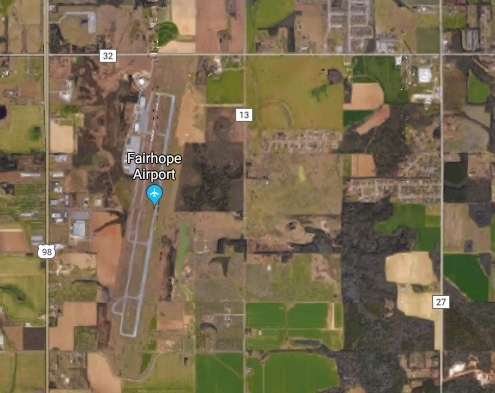 What airline is going to operate out of Fairhope? Surely we aren't going to use taxpayer funds to build a customer terminal facility for private flights? It will be mostly for chartered flights and other general aviation needs as we understand it. There's an almost never used aviation training center there that could also be used. Its just sitting there going to waste at the tax payers expense. I can promise you someone with ties to the current council and airport authority will benefit. This is embarrassing. This is a complete scam and million dollar plus ripoff that Fairhope taxpayers will be paying for years. Much needed. A big boost for the economy of the whole Eastern Shore. "A big boost for the economy of the whole Eastern Shore.". Great! Let Daphne pay for it. The Aviation Academy at the Fairhope Airport is a joint venture between the Baldwin Board of Education and Alabama Coastal Community College. Annually, approximately 120 students receive techanical training and graduate into local, well paying jobs. The program is successful and slated to expand to accommodate the demand from students. It is our understanding the cities of Daphne and Spanish Fort were to be asked to help fund it too. 90% of those posting about supposed "economic benefits and jobs" have a vested interested and will profit individually from airport expansion. 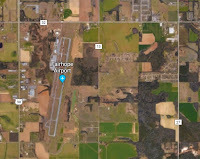 Supposed economic benefit is pure simpleminded horse poop, just lip service used to convince gullible tax payers that they should continue to pay huge overruns for Fairhope airport. There are so many better ways to invest to benefit all taxpayers rather than a tiny minority with private jets and business at the Fairhope airport. Well the interesting part is the contractors selected for the expansion.Lets see who wins the bids as 4.1 million are being spent on the old school in town and now expansion of the airport.If it is expanded the amount of aircraft will increase.This was an issue with our new mayor during her first few months of office and is now a non issue.Lets just wait and see how Jack Berrell puts this to the city.Maybe he can ask Paul Ripp for advise on how it should be done they seem to have such good repore.